This new round option in PTC Creo Parametric eliminates the tedious process of having to construct round geometry using surfacing techniques. In addition to specifying constant width, users can define round geometry using circular, conic and C2 continuous cross-sections. 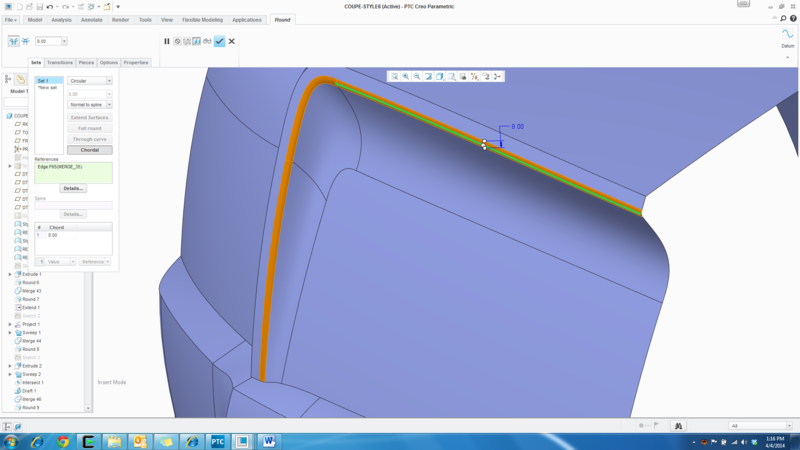 Improvements to Boundary Blend functionality will help to improve the quality of surface models. The ability to untrim surfaces and flatten complex, freeform surfaces also provide additional benefits. New functionality to automatically apply bend relief, create sheetmetal rips, and bend coplanar geometry have been added to help users create sheetmetal geometry faster than before. 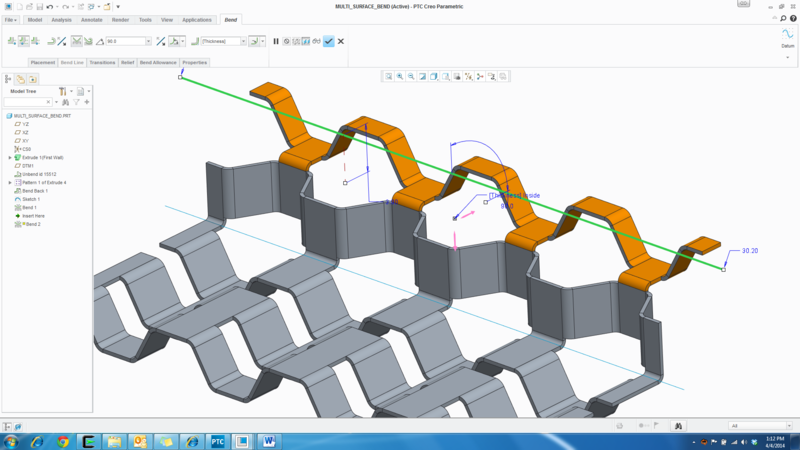 Rapidly create sheetmetal geometry using new functionality to automatically apply bend relief. The PTC Creo Flexible Modeling Extension has been significantly improved as the product now provides support for editing and recognition of chamfers and non-circular rounds. Also, a new Flex pattern tool has been added which gives users the ability to pattern geometry with flex support. Also, Stay tuned to this blog in the following months as we cover the hundreds of enhancements in PTC Creo 3.0 in greater detail.